I created my platform as a place to inspire, empower and celebrate being a beautiful black woman. A year ago, I took the leap from Corporate America to pursue my business and it has been the best decision of my life. With my platform, I choose to inspire my community and empower them to follow their dreams and passion through my experiences, blog and collaboration with local women like myself and national brands. Women’s empowerment is a vital portion of my overall mission. I encourage women to step out of their comfort zone and step into the light and shine, unapologetically. To demonstrate how powerful we can truly be when we work together and support one another. 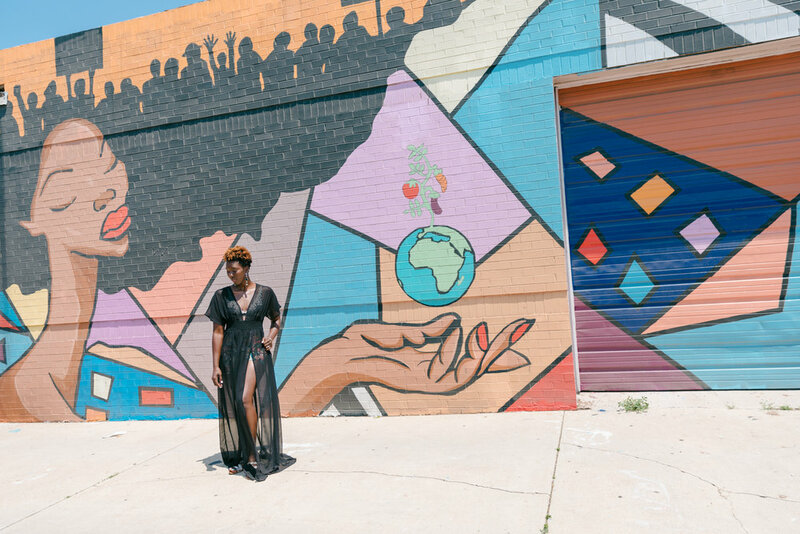 I am excited to partner with a brand like Uber that also wants to empower and celebrate the sometimes underrepresented voice of the women of color. Uber’s goal is to create a workplace that is diverse and inclusive, and where authenticity is celebrated as a strength and a foundation. Uber has created an environment where all are welcome. I also love that they have created internal programs such as Women of Uber to support women to grow within their organization, and to speak up and be heard, and UberHUE hat is a community for black employees and allies; with the goal of making sure all voices are heard and inclusion for all employees at Uber. Creating milestone initiatives like this is why I have embraced the Uber brand even more. I am a frequent traveler and have always been an Uber customer. My experience with Uber has been unrivaled, and I use them immensely. Being able to partner with Uber to share their mission and to also support this movement for change is so exciting to me. I want to continue to inspire women of color to keep pushing and to keep working hard. No one can stop you from achieving everything you deserve and more; especially with companies like Uber actively lending their support and encouragement! Continue to sprinkle that #BlackGirlMagic on everything you do!! This blog post is in collaboration with Uber, but all views and opinions are my own.